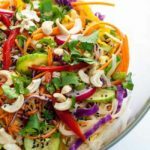 Spice up your breakfast! 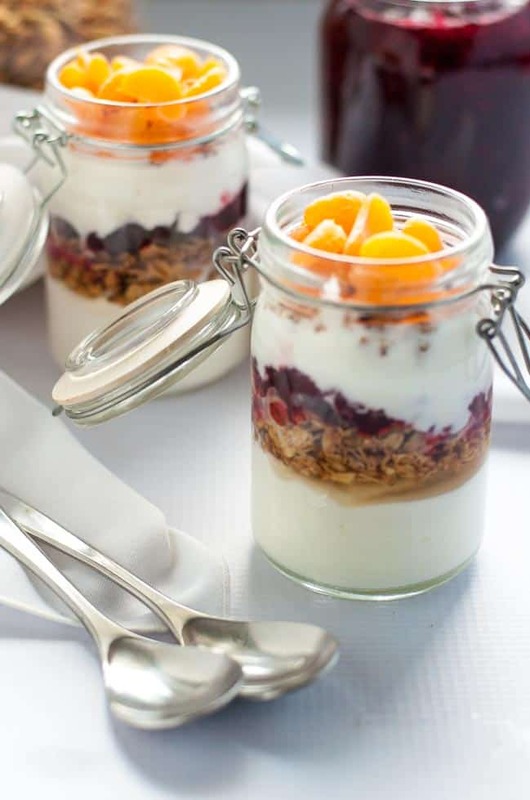 This Cranberry Orange Breakfast Parfait is made with Greek yogurt, granola, cranberry sauce and fresh oranges. 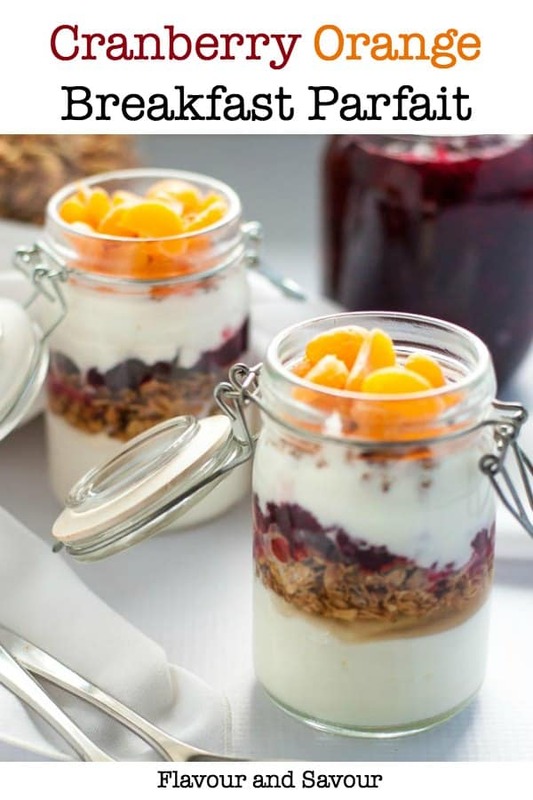 Having this healthy Cranberry Orange Breakfast Parfait for my morning meal has put me in a holiday mood this week. What could be more festive than cranberries and oranges at this time of year? 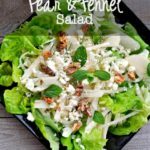 It’s creamy and crunchy, and it’s sweet and tart, all at the same time. Having a parfait for breakfast makes me feel like I’m starting the day with dessert, and who doesn’t like that idea? 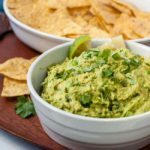 Breakfast in my home is usually a smoothie, a smoothie bowl , overnight oats, or Avocado Eggs. 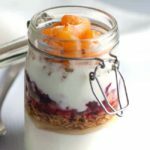 I’m adding this Cranberry Orange Breakfast Parfait to our breakfast choices over the holidays. 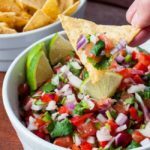 It’s a great way to use up leftover cranberry sauce, too! I made a double batch of my Spiced Cranberry Orange Sauce so I’d have extra to enjoy in other recipes this week, like this Greek yogurt breakfast parfait and these Cranberry Jalapeño Brie Crostini. 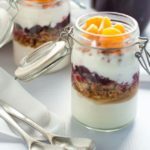 Having a fresh batch of homemade granola in my pantry makes assembling delicious healthy breakfasts, like breakfast parfaits or this quick and easy. Homemade granola only takes a few minutes to mix up before you toast it in the oven. I like to have it ready for busy mornings when I don’t feel like cooking. To make these parfaits a few days in advance, layer the granola on top so that it doesn’t soften. Cover and refrigerate and have a nutritious breakfast, mid-day snack or dessert ready and waiting for you. 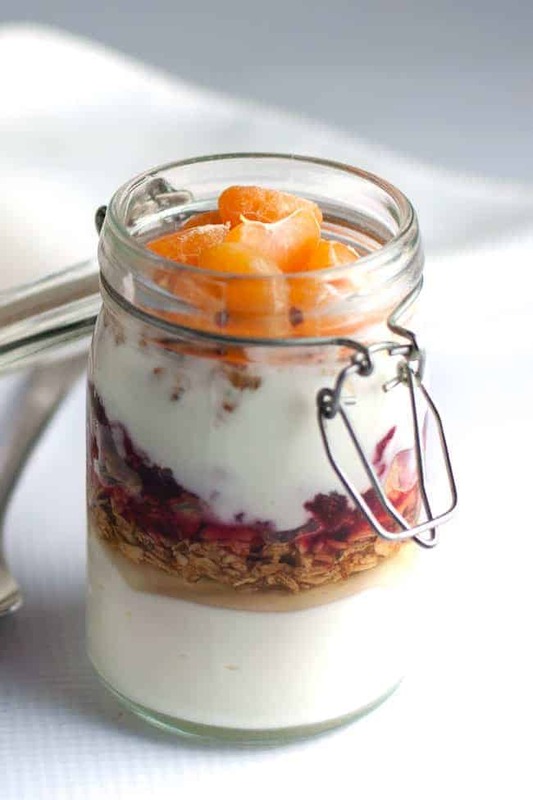 Layer yogurt, honey, cranberry orange sauce and granola in a glass. Top with fresh oranges and serve. 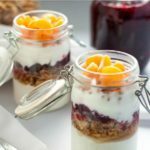 Try these other Breakfast Parfaits too!